Click on the media player below to listen to Peter’s podcast. Scroll down to read his bio. Peter Piven recently founded Peter Piven Management Consultants to help professionals in architecture, planning, engineering, landscape architecture, interior design and graphic design firms improve their practices in the areas of overall organization, strategic planning, valuation and ownership and leadership transition, marketing, project delivery, partnering, financial management, and merger/acquisition assistance. Before that, Peter was a founding principal of The Coxe Group. Mr. Piven received a Bachelor of Arts degree with High Honors from Colgate University, a Master of Architecture degree from the University of Pennsylvania, a Master of Science degree in Architecture from Columbia University, and a Certificate in Management of Design Organizations from Harvard University. 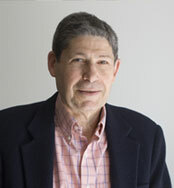 Mr. Piven has focused his career on management issues in the design professions and was elevated to Fellowship in the American Institute of Architects in 1981 for his contributions in management. He was a Vice President of Caudill Rowlett Scott, where he managed the New York Division, and a Principal of Geddes Brecher Qualls Cunningham: Architects, which won the national AIA Architectural Firm Award during his tenure. Mr. Piven instructed “Professional Practice” and “The Design of Design Organizations” at the University of Pennsylvania, the “Practice Seminar”‘ at Rensselaer Polytechnic Institute, and “Starting a Design Firm” at Harvard University’s Graduate School of Design Executive Education program (with Brad Perkins). Mr. Piven is a Director of PennPraxis, the 501 C-3 corporation created by the University of Pennsylvania’s School of Design to provides opportunities for student and faculty education and development, strengthen community ties, and provide service to the community. He is a member of the Queen Village Neighbors Association Zoning Committee. Mr. Piven is the author of “Financial Health” and “Capital” in the current and upcoming editions of the Architect’s Handbook of Professional Practice, and he is a member of the editorial committee for the 14th Edition. He was the co-author of “Client Perspectives: Health Care”, “Client Perspectives: Higher Education”, and “Client Perspectives: Federal Facilities” in the 2004, 2005 and 2006 Updates to the Architect’s Handbook of Professional Practice. He is the author of Compensation Management: a Guideline for Small Firms, and co-author of Success Strategies for Design Professionals: SuperPositioning for Architectural and Engineering Firms. Mr. Piven’s book Architect’s Essentials of Ownership Transition was published by John Wiley & Sons in February, 2002, and Architect’s Essentials of Starting a Design Firm, which he wrote with Brad Perkins, was published in May, 2003. Architect’s Essentials of Starting, Assessing and Transitioning a Design Firm, which he wrote with Mr. Perkins, was published by Wiley in 2008. The Coxe Group is headquartered in Seattle (206/467-4040), and Mr. Piven lives in Philadelphia, Pennsylvania. This entry was posted on September 17, 2009 at 3:44 pm, filed under Podcast.